On 30 September 2018, we&apos;ll be retiring Shorthand Social to focus on our flagship professional storytelling platform. 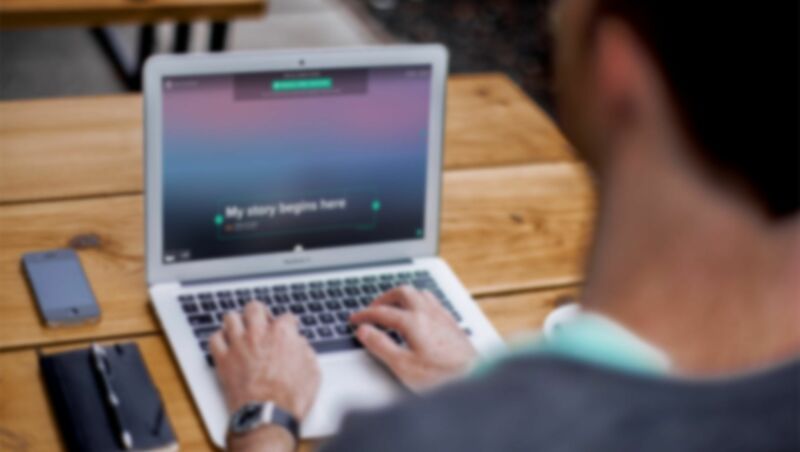 Shorthand Social users get one year of Shorthand for free! If you&apos;re reading this, it&apos;s likely you were redirected here after trying to sign up to Shorthand Social for the first time, or you clicked our notice on your Shorthand Social dashboard. If you fall into the former category, you can skip the rest of this article and sign up for Shorthand right now. If you&apos;re in the latter group, read on! For the past three years, we&apos;ve supported Shorthand Social, a completely free, and ad free, storytelling platform for anybody who wanted to tell visual stories in a simple way. Prior to that, we also offered Immersive, the forerunner to Shorthand Social. A small, but vibrant community of storytellers has grown around these two platforms. So it&apos;s with a heavy heart, but also with a feeling of excitement for the future of storytelling, that we announce the immediate prevention of new account creation and the retirement of the Shorthand Social app on 30 September 2018, to focus 100% of our efforts on our flagship product, Shorthand. From humble beginnings, our pro product has emerged as the first choice visual storytelling platform for many of the best known publishers, brands and non-profits around the world. We&apos;d like to thank everyone who published stories on Shorthand Social and Immersive. Some amazing stories were told on those two platforms over the years, and though you&apos;ll be unable to edit existing stories, rest assured that every published Shorthand Social story will remain online. It may be the end of Shorthand Social, but we know that our flagship product, Shorthand, though it&apos;s been around for longer, is still at the very beginning of its life. And we&apos;d love you to continue to be a part of the Shorthand story into the future. So, we want to encourage Shorthand Social users to reap the many benefits of making the move from our basic consumer platform to our professional storytelling platform. Here are some reasons why you should make the switch. It&apos;s been some time since we made any updates to Social, whereas we&apos;re actively working to make Shorthand better every day. The recent launch of Shorthand 2.0 means we can deliver new storytelling features faster than ever before. Our small team can&apos;t do justice to both Social and Shorthand, and it&apos;s clear that Shorthand is where the future of visual storytelling lies. Shorthand is the bees knees of visual storytelling. It&apos;s used by everyone from The Economist to the Red Cross to the BBC to Bain & Company to Cambridge University, as well as many agencies and freelancers, to create memorable stories that readers will share. Our recently launched Shorthand 2.0 platform is powerful, while being at least as beautiful and simple as Social. You&apos;ll have greater control over the way your stories look and feel without greater complexity. Our small team, spread across the globe, and our amazing customers have had a disproportionate impact on story quality and audience engagement on the web. In fact, it&apos;s not a stretch to say that Shorthand stories are amongst the most engaging media formats on the web, with average engaged times, as measured by Chartbeat and others, through the roof. This, coupled with our beautifully simple editor, is what draws publishers and communication teams to Shorthand. By switching to Shorthand, you can make a bigger impact on your audience, too. We are making Shorthand free for the first year to anyone who published a Shorthand Social story prior to 31 July 2018. That&apos;s right, for twelve months, we are making our Prelude plan free to Social users who make the switch. Love Shorthand Social? Then our Prelude plan will knock your socks off. All the elegance and simplicity of Social, with more powerful features. If you&apos;d like to switch to another Shorthand plan, then we&apos;re offering Shorthand Social users who have published stories prior to 31 July 2018 50% off any other plan for the first year. Our non-profit and education discounts cannot be used in conjunction with this offer. After your first year, continue with our Prelude plan at the low rate of $20 per month or $200 per year. That gives you and your team access to the world&apos;s premier high-end publishing platform for the price of a few coffees a month. For any Social users who reproduce their Social stories in Shorthand on a paid plan, we&apos;ll commit to redirecting your Social URLs to your new Shorthand stories at your request. To take advantage of this exclusive offer, simply fill out the requested details in our Switch to Shorthand form. If you were trying to sign up to Shorthand Social for the first time, welcome to exceptional storytelling! You can head straight to the sign up page for Shorthand. Please note that due to the popularity of our Prelude, Prime and Pro plans there may be a short delay in onboarding your team. We&apos;re here to help, so please get in touch with any questions you have about our plans, and we look forward to welcoming you to professional storytelling!